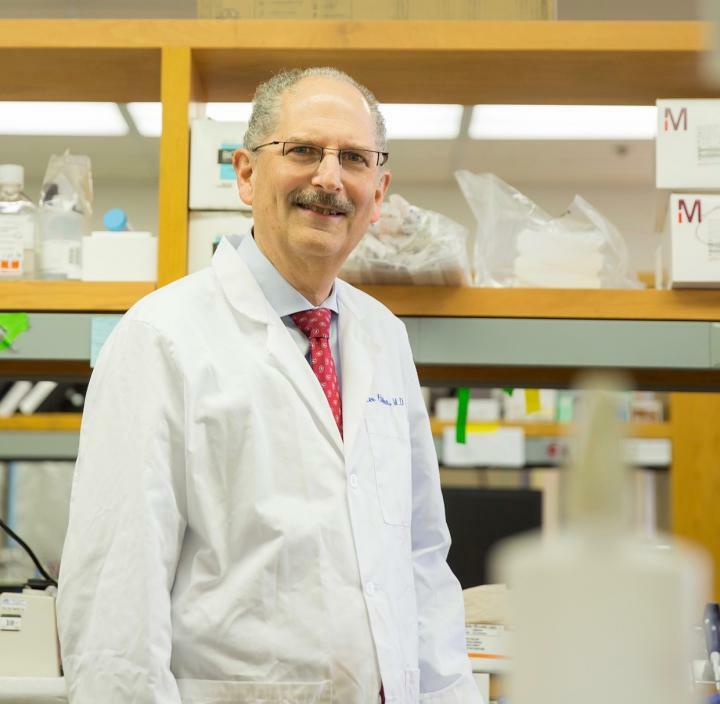 Lee Helman, MD, head of Basic and Translational Research within the Children's Center for Cancer and Blood Diseases at Children's Hospital Los Angeles, is a founding member of the newly formed, Pediatric and SDH-Deficient GIST Consortium. In 2008, Helman was responsible for the initiation of the first clinic devoted to pediatric patients with "wild-type GIST" who did not benefit from the treatment that had recently been found effective for most adult GIST patients. The vast majority of the patients who did not respond to treatment were determined to have a genetic mutation and subsequently identified as having SDH-deficient GIST tumors. The initial clinic at NIH was supported by the Life Raft Group. Partners in the Consortium include: Boston Children's Hospital; Cambridge University Hospitals UK; Children's Hospital Los Angeles; Dana-Farber Cancer Institute; Fox Chase Cancer Center; Foundation Medicine; GIST Support International; GIST Support UK; Huntsman Cancer Institute; VCU Massey Cancer Center; Memorial Sloan Kettering Cancer Center; Moores Cancer Center UCSD; National Cancer Institute; National Institutes of Health; Oregon Health and Science University; SDH-RA Cancer Research Advocates; St. Jude Children's Research Hospital; Sylvester Comprehensive Cancer Center; Technion – Israel Institute of Technology; The Life Raft Group; and University of Bologna, Italy. According to Norman J. Scherzer, Executive Director of the Life Raft Group: "We have more than doubled progress for patients living with GIST with a major exception — pediatric and SDH-Deficient GIST. That is our unfinished business: Nobody wants to lose any more children."